Every now and then I’d like to share an old post with you. I featured this house last year and it was one of the most popular ones in my series of summer houses. 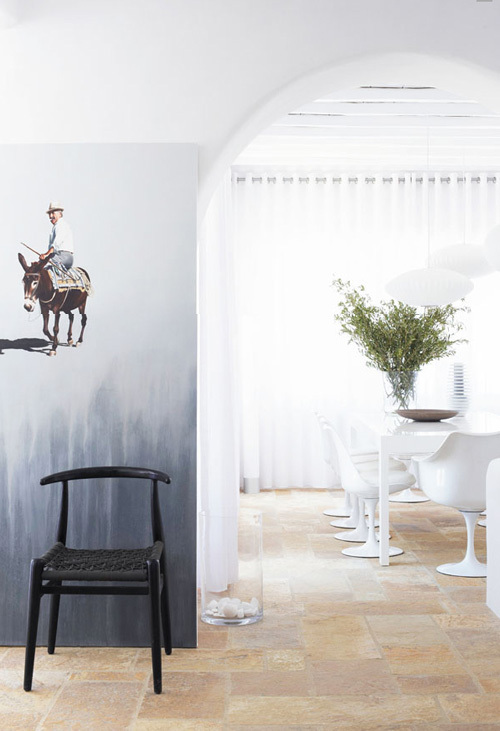 This stylish house is located on the Greek island Mykonos. It balances on a small hilltop with breathtaking views over the Aegean sea and the magical island of Delos. This villa belongs to Katie and Johnny Friedman who live here with their three children. The couple fell in love with the island years ago and even got married here. Although the house is only four years old, it is built in a charming traditional style with rounded corners, contrasting with the slightly rougher sand-colored stone tiles on the terrace. 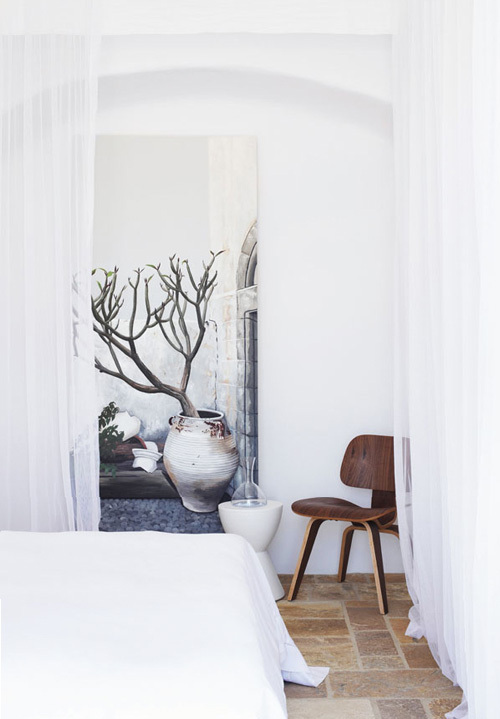 The renovation of the interior is done by South African interior designer Jayne Wunder. 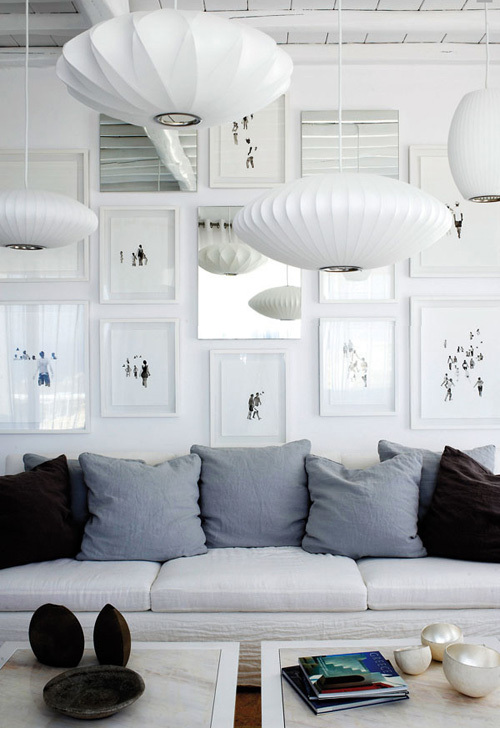 She is a good family friend and had previously decorated their home in London. 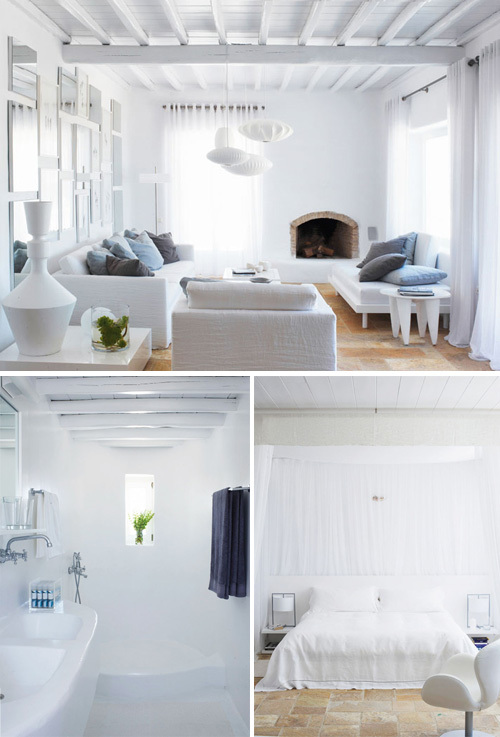 With three boys under twelve living in the house, practical details were of great importance, but the owners also wanted a modern and timeless look that blends with the distinctive architecture of Mykonos. 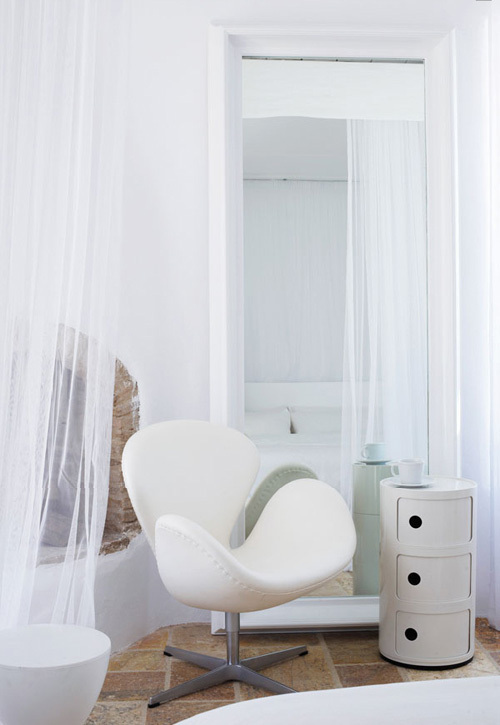 Jayne’s signature style is a minimalistic and soothing monochromatic design. 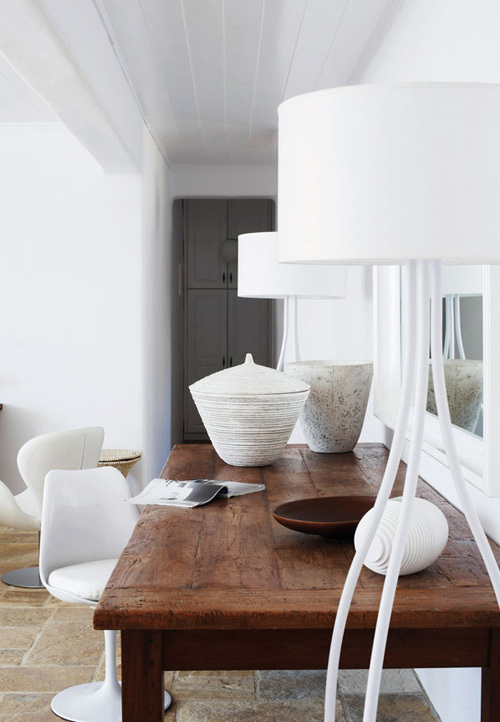 A fifty-century furniture such as Jacobsen’s Swan and Saarinen Tulip are mixed with Jaynes’s own designs. I love the people photo shots in the first pictures background .. thanks for sharing! This looks incredible. New motivation for my house!